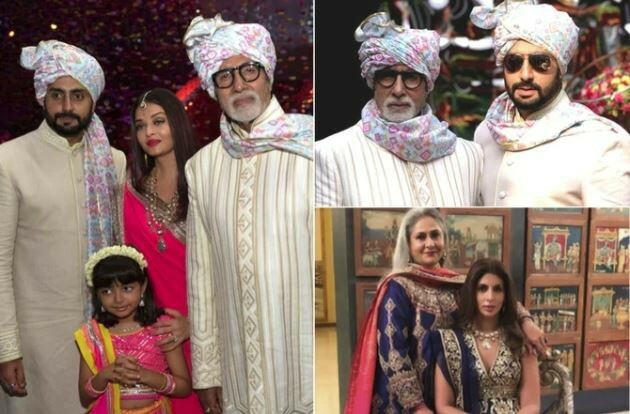 At the weekend, the Bachchan family arranged for a traditional wedding ceremony in their traditional costume (Read, their beloved Abu Jaan-Sandeep Khosla, in harmony). 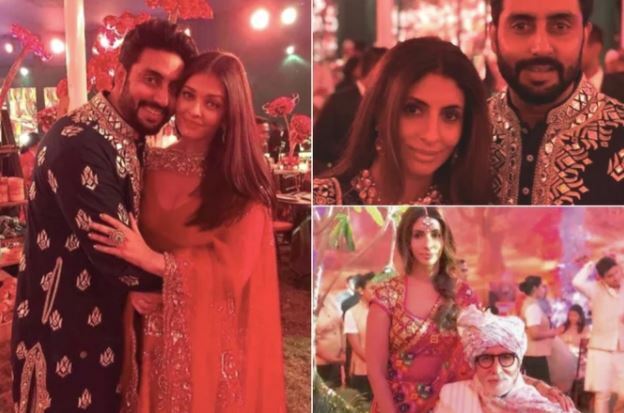 From Amitabh and Jaya, Abhishek, Aishwarya, Shweta and Aradhyaya, the entire family came out full circle to welcome a new 'Beti', the name that Bachchan has named a bride named. First of all, many of their own wealth was taken and he was in the center of all events. Amitav posted some emotional pictures to give just an idea of ​​the huge show that is in Mumbai, and wrote a complete blog to tell what happened behind the closed door. Click 'View Gallery' to see what happened in this strange marriage. The celebrated few days have seen the whole family rejoice and celebrate the coming of the bride. In fact, the pictures of this strange wedding soon became bizarre and together with an excellent frame of anointing and richness, everyone got to get completely obsessed with it. 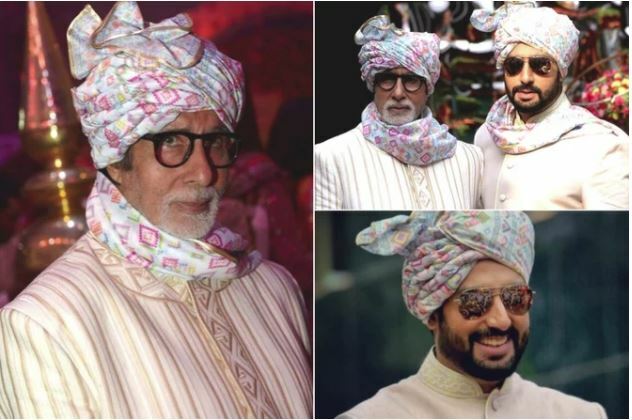 Amitabh said on his blog in Tambi, "The wedding ceremony is such a wonderful event in the family ... wedding ceremonies, the occasion of these festivals, has not been seen for a long time, all the songs are laughing, joy, happiness, old traditions, achievements and laughter, behind, groom And many games with the bride ... are endless .... "
Then he wrote, "The events of the ceremony begin very few days ago, and each moment is full of laughter and joy in the whole .... Lots of excitement in the surroundings .... Music and dance .... Storytaking and fun ...., special Every adult should have their own sayings about how to do all the rituals and ceremonies ... ... and wearing different traditional dresses of every event ... and when everything is finished .... tired and frozen throat and a great alliance ... "
Amitabh has said, "Father of the bridegroom sent his daughter to his new home ... the joy of giving ... the blessing received from those who accept him .. and the family .. Welcome to the traditional folk songs and amusement ... ..... And the crowd gathered in the waters of Jalasara happy with the eyes of the peers .. And the ever-presenting of their artwork. The crowds of devotees and overflowing of the celli photo on the mobile ... He is fast and documented .., "he shared. 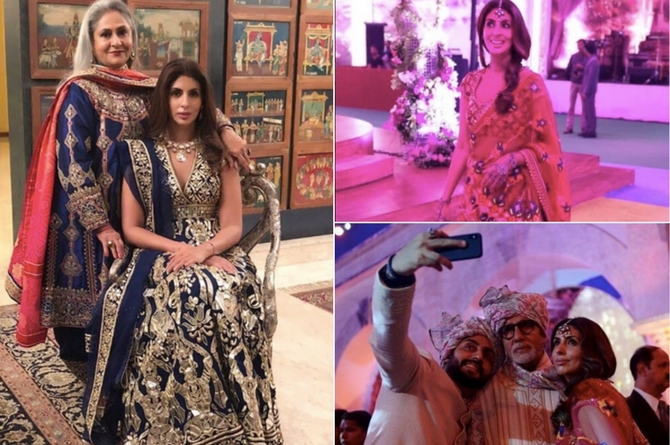 Shweta Bachchan Nandar's children as well as her husband did not even appear here, but she was ready for their presence and she was seen taking pictures, because she was sitting beside mother Jaya. 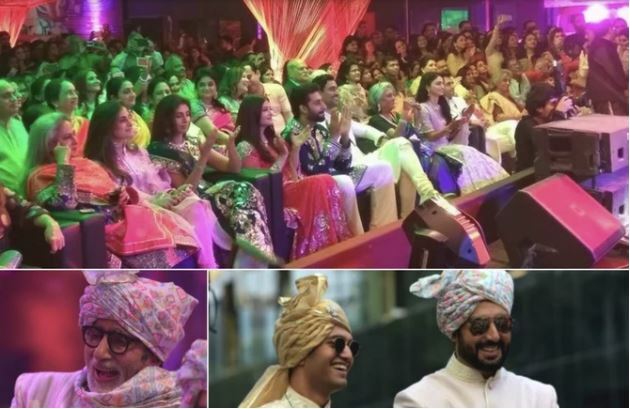 The wedding ceremony gave an opportunity for the bachelors to be together again, to rejoice and to welcome the new 'Beti', this was an occasion they enjoyed clearly. "আমাদের বিবাহ বিচ্ছেদ হতে চলেছে, এবং কাউন্সেলর এই পরামর্শ দিয়েছেন !!"